The Europeans considered their short hunting swords as much a part of their hunting outfit as we did our tomahawks and long knifes. They were also in use a considerable amount over here in the 1700’s. 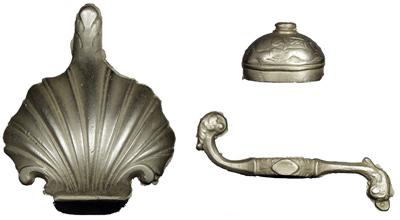 These parts are available in brass or steel please specify when ordering.